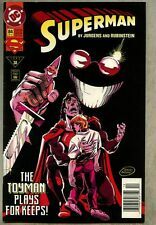 Superman #84 & #85, (1993/94, DC) Free Shipping! 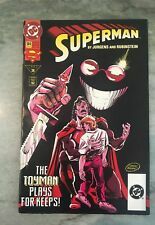 Superman#84 Awesome Condition 8.0(1993) Toyman, Jurgens/Breeding Cover!! 10 Superman 1984/1993 DC comic lot see All 10 Pictures Preowned Good Condition. 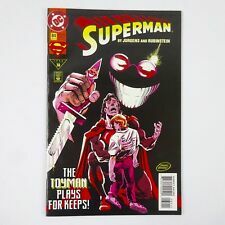 Superman #84 (Dec 1993, DC) The Toyman Plays for Keeps! This page was last updated: 22-Apr 13:33. Number of bids and bid amounts may be slightly out of date. See each listing for international shipping options and costs.